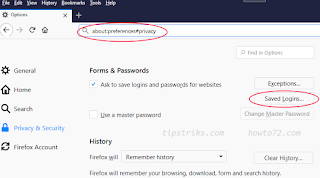 How to remove saved password in Mozilla Firefox Internet browser. 2. 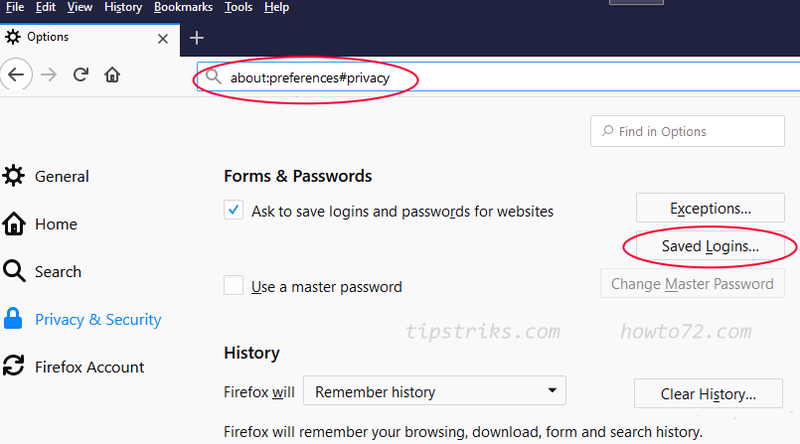 Paste it to the address bar of Mozilla Firefox browser. 4. 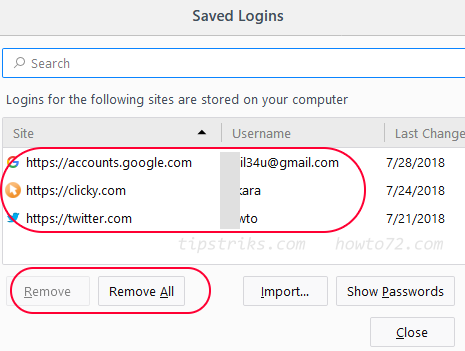 In Saved Logins page you will see list of saved login accounts, site information, username, also you can show the password. 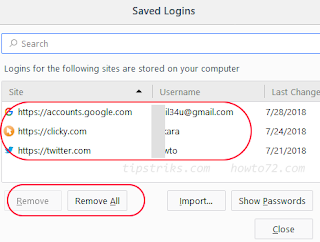 To remove, select Remove All or Remove one by one.